A searing crash. And then suddenly you’re in, inside Christopher Boone’s world and, more to the point, inside his very brain. 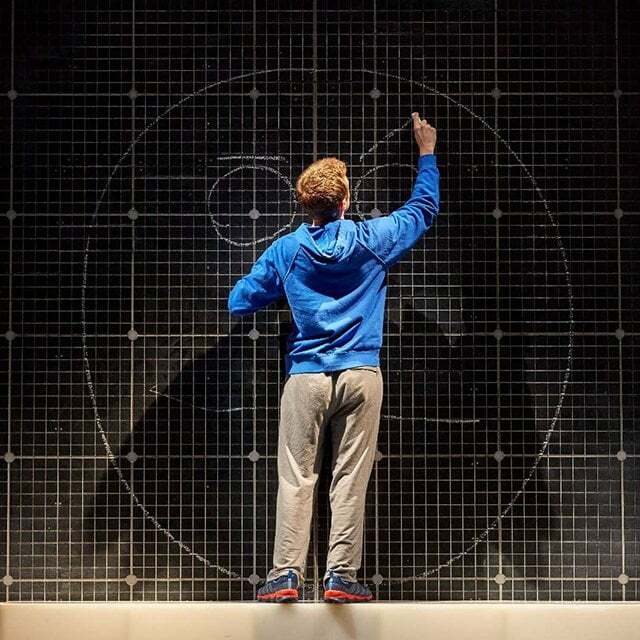 For the next two hours, The Curious Incident Of The Dog In The Night-Time has you careering through Boone’s landscape of family affairs, arguments, murdered dogs and top-level maths, neatly portrayed through teenage Christopher’s curious eyes. Yet what makes for a curiouser narrative still is that our protagonist suffers from a condition akin to Asperger’s Syndrome. 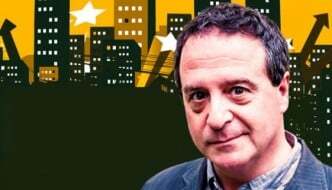 And this in itself is problematic to say, for as the play progresses, you begin to feel that it is not Christopher so much who suffers from the nuances of this, but the rest of society who does from its over complicated approach to everything. While Christopher explores the ins and outs of the dog Washington’s murder, we in turn are forced to assess the ins and outs of automatic human interactions – from minor spats and forming relationships to even simple contact such as hugs and small talk (all of which Christopher is uncomfortable with). 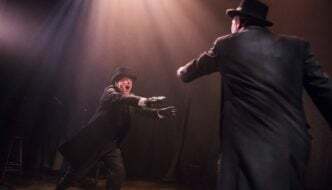 It becomes more and more evident as the play goes on that these interactions are the story’s bread and butter – an exploration of the methods in which we relate to one another – while the poor murdered dog who is the play’s namesake is, essentially, completely forgotten about by the second half. Yet forgotten though Washington (R.I.P.) may be, you cannot help but forgive the scriptwriters this injustice while watching the play unfold. Christopher’s critical eye makes fascinating work of everyday life and events as he uses the entire set, lighting and other cast as props to explain his thought processes. Other cast, for instance, strut about the stage pretending to ‘be’ metaphors while Christopher puzzles over society’s use of them (why do people simply not say what they mean?) and, in the scene in which he searches for his journal, the walls run red and the soundtrack shifts to something straight out of a cliché detective film – daily tasks that are made brilliant by Christopher’s unique twist on them. This hyperbolic approach reflects itself, too, when he dreams of space: the walls melt into stars as the cast pass him among themselves weightlessly – perfectly blending his physical and metaphysical worlds. It’s not easy to hop between these two realms—the one inside Christopher’s head and the one in which he lives and operates—yet the play does so masterfully. As a viewer you get to be lazy, completely swept along by the story’s transitions without having to use any imagination yourself. While there are, further, aspects of the play that are emotionally difficult (particularly as the play dissects Christopher’s relationship with his parents) you never feel dragged down or particularly pensive, the over complicated outer world ‘saved’ by Christopher’s simplified, endearing perspective. Ultimately, rather than assessing the dog’s death, you end up assessing yourself with fresh eyes, maybe even cringing at his keen observations that, certainly, make society seem rather… curious. You get the gist. The Curious Incident Of The Dog In The Night-Time is not actually about the curious incident of the dog in the night-time. It’s about us. 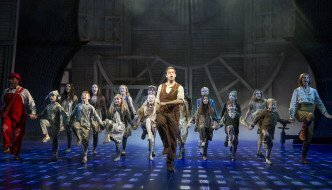 Check out what’s coming up next at Leeds Grand theatre! We are forced to assess the ins and outs of automatic human interactions. It’s not easy to hop between these two realms—the one inside Christopher’s head and the one in which he lives and operates—yet the play does so masterfully.